laurafallulah: So sweet it makes my teeth hurt. So its a good job that I am going to the dentists on tuesday. My 6 monthly dreaded trip to the dentist has been made slightly better due to the fact that I have a new designer in my NOTHS shop. 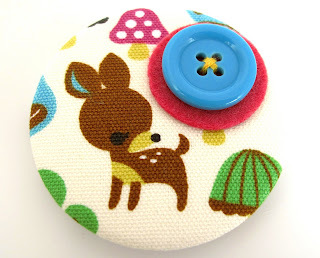 Paperfish makes super cute badges and brooches as well as many other items. I have known her for a while now and count her as one of my bestest friends. So I am slightly biased but she is one talented so and so. 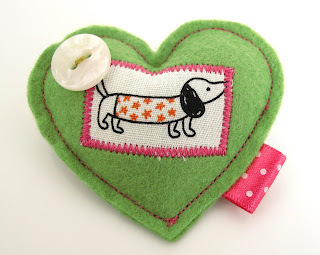 Please pop along to my shop and see the new designs of Paperfish badges I have in there. Brooches will follow next week but for now you will have to survive with looking at these super sweet tea cup, russian doll and deer badges. I have to say the deer is my favourite, he is possibly the coolest badge I have seen in ages. As soon as I saw him I know he had to be mine, but I am not a selfish girl so now you can all own one too. As a naughter teesing taster from next week you will also be able to get this rather dashing fellow.